The GV-86 features a dead-reckoning-enabled GNSS receiver that receives concurrent GPS, satellite-based augmentation system, and Quasi-Zenith Satellite System signals. The dead-reckoning capability allows the unit to provide positioning while in such harsh environments as tunnels, urban canyons, and underground parking garages where GNSS signals may be blocked, the company said. 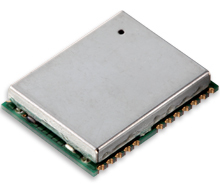 The GV-86’s dead-reckoning module combines information from a gyro and velocity/vehicle speed sensor to provide accurate positioning information. According to the company, the GV-86 features fast time-to-first-fix (TTFF) and improved noise tolerance, and is Galileo-ready. Furuno says that the unit’s dead-reckoning positioning accuracy can be improved with feedback from the map-matching feedback function within the navigation application. Clarion’s recently announced that its NXR16 car navigation system supports multiple languages and displays to assist a growing market of foreign customers who use company-equipped rental cars.